Homemade Hummus (BEST Hummus Recipe) VIDEO!!! Homemade Hummus is so creamy, so flavorful, and so healthy too! This is a delicious dip you can get away with eating every single day. Learn how to make hummus with the BEST hummus recipe ever. 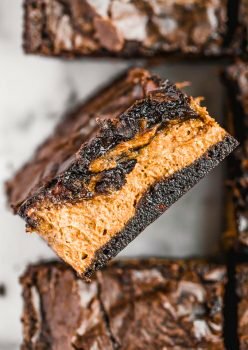 So easy and it tastes good with just about everything! 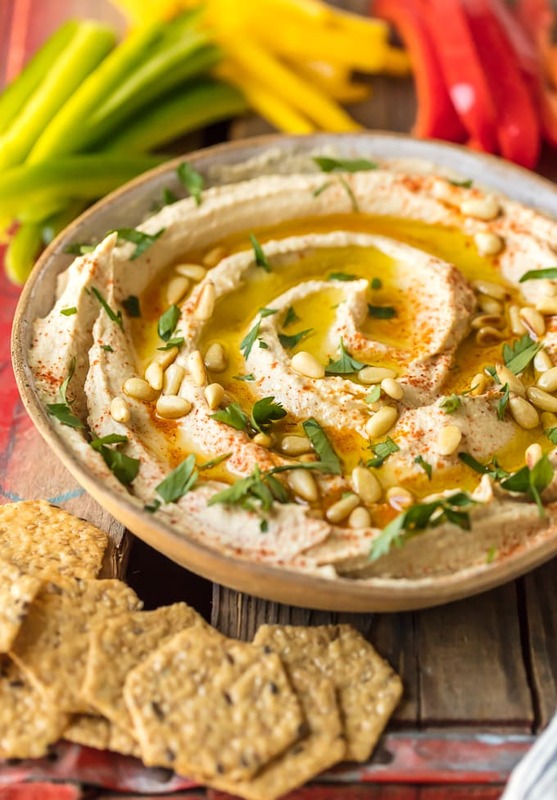 Homemade Hummus is easy to make, and it’s a great thing to keep stocked in the refrigerator for snacking. This simple recipe is the best hummus recipe, with plenty of options for flavor variation. Hummus is one of my favorite things to snack on. 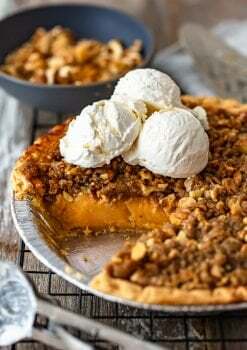 It’s creamy, it’s simple, and it’s full of flavor! I could eat this stuff forever, so luckily it’s healthy too. 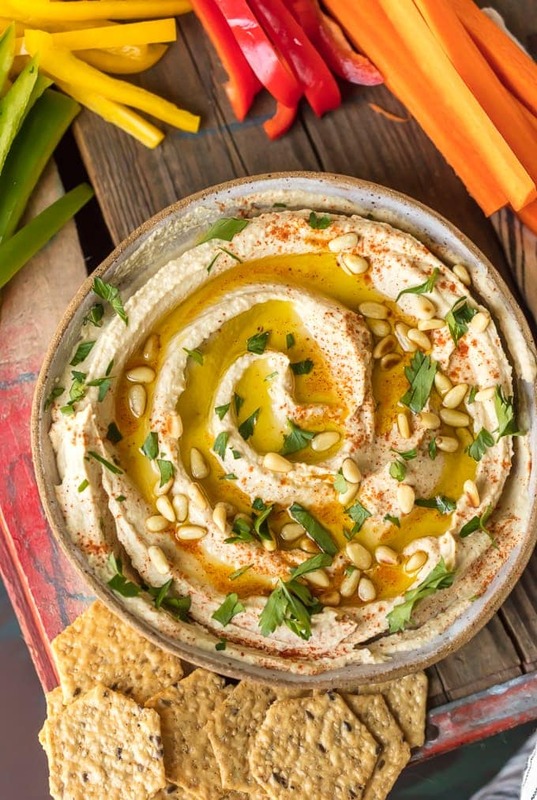 This Homemade Hummus Recipe is just incredibly delicious! This is the BEST Hummus recipe I’ve ever had, and I can’t stop making it (or eating it). It’s just chickpeas, salt, olive oil, lemon juice, tahini, garlic, and a few other things for extra flavor. I consider this my base recipe, and it’s fun to get creative and add in different ingredients every time. It’s so good as is, but I like adding in peppers, pine nuts, sun-dried tomatoes, or whatever my heart desires! Learn how to make hummus and get to snacking. Warning: you won’t be able to stop eating it! 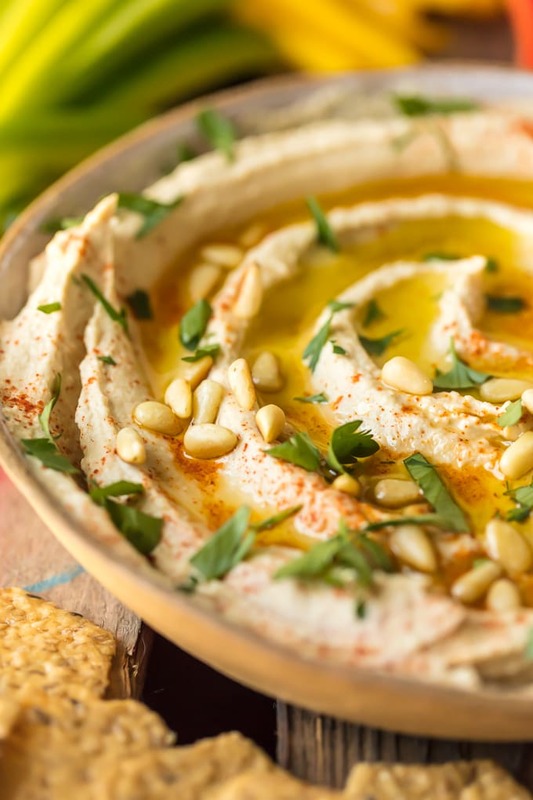 Try out the Best Hummus Recipe and serve it with pita chips, vegetables, or crackers. It’s the perfect healthy snack and a fun party dip! 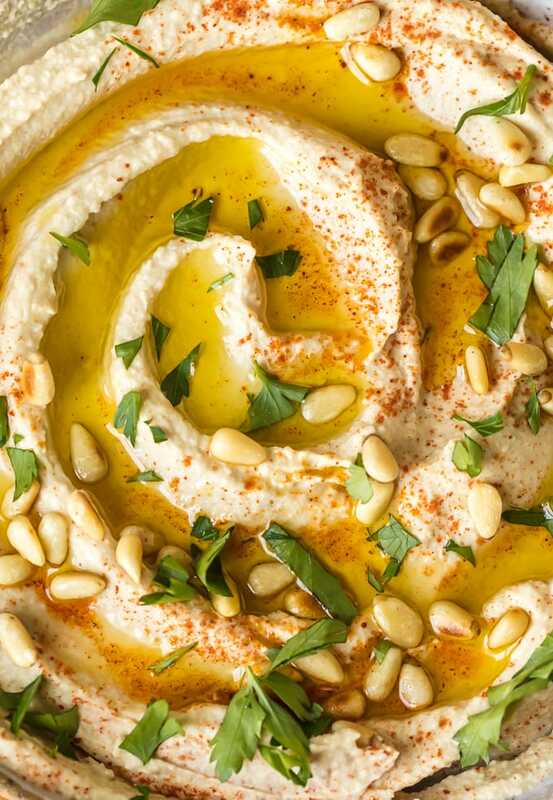 This homemade hummus recipe goes with EVERYTHING. It’s almost surprising how versatile this dip is! 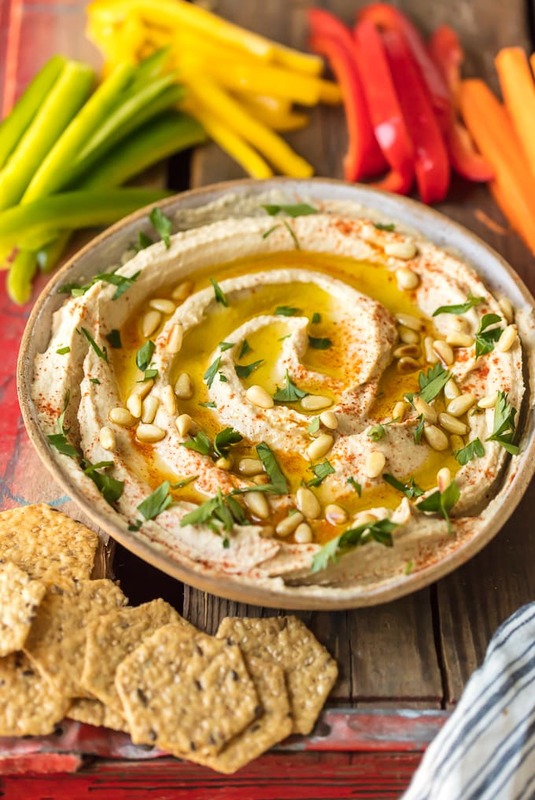 My go-to when serving hummus as an appetizer or snack is crackers, pita chips, pretzels, and raw vegetables. They’re really just a vehicle for the amazing taste of the hummus, so it all tastes good. Hummus also makes a great spread on sandwiches, bagels, and tortillas. And believe it or not, apples taste amazing with hummus too. Like I said, so versatile! One of my favorite things about hummus is the ability to make it however you want! There are so many creative possibilities and flavor combinations to try out. 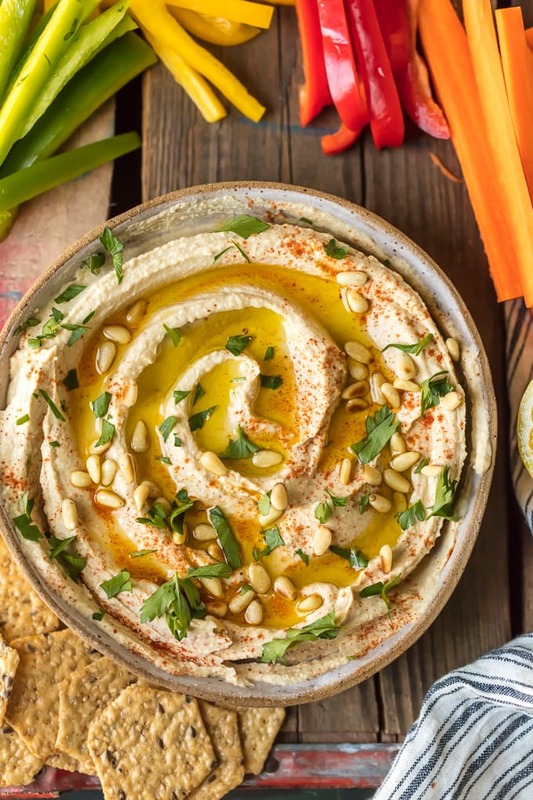 Use this homemade hummus recipe as a base, then add whatever ingredients you love. How long does hummus last? Homemade hummus will generally keep for 1 week when stored in an airtight container in the refrigerator. If you want to make a BIG batch of hummus, but you’re not going to eat it all within 1 week, you can easily freeze hummus to save for later. Store it in a freezer-safe container for up to 6 months. When ready to use the hummus, let it thaw in the refrigerator a day before use. I recommend freezing hummus in individual servings rather than one big tub. That makes it easier to grab what you need instead of thawing the whole thing every time. 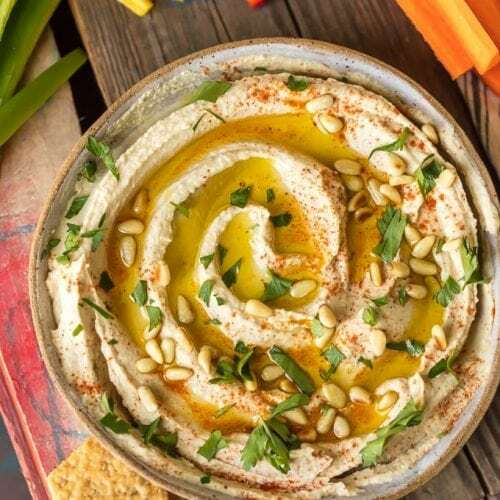 Hummus is definitely one of the healthiest dip options, which is great to hear since it’s so delicious! It’s low-calorie, full of plant-based protein (chickpeas! ), and it’s loaded with vitamins and nutrients. It’s also good for the heart and the digestive system, so it’s a really good thing to add into your diet. You guys are going to LOVE this hummus recipe. Make up your own flavor combinations and let me know what you tried! See the recipe card below for details on how to make hummus. Enjoy! *See Notes for flavor variations. Place the drained chickpeas in a large pot, cover with cold water by at least 2 inches. Add 2 teaspoons baking soda and stir well. Bring chickpeas to a boil over high heat, and skim off any scum that rises to the surface. Cover the pot and set heat to low. Simmer 30 minutes or until the chickpeas begin to fall apart and are a little mushy. Stir and skim off any chickpea skins floating on top of the water. Repeat this stir/skim step at least four times until most of the skins have been removed. Discard the skins. spatula, through a fine-mesh sieve over a small bowl to release as much liquid as possible. Pour the liquid back into the food processor bowl and discard the solids. Add the tahini, cumin and red pepper flakes. Pulse 5 times to combine. With the motor running, add ¼ cup ice water, by the tablespoon, and process until smooth. (Note: The mixture may seize up at first, but keep adding water and processing; all will be fine.) Process the tahini mixture (adding extra ice water if needed) until it is smooth, pale and thick (but not too thick). Add the cooked, drained chickpeas and process until ultra smooth and creamy. (If desired, add more ice water, by the tablespoon.) NOW…purée it even more until it is creamier, smoother, lighter and fluffy(ish). Season to taste, if needed, with salt, lemon juice and cumin. Transfer hummus to a shallow serving dish and drizzle with good quality olive oil. Garnish with olive oil, toasted pine nuts, paprika, finely chopped fresh parsley and whole chickpeas (if desired). Serve with pita chips, tortilla chips, crudités and/or your favorite crackers. Note: Homemade hummus will keep refrigerated in an airtight container up to one week. Love this recipe, but I would like to know the brand of food processor you are using, it is time to replace mine, thank you. Hi! I have a kitchenaid and cuisinart. Love both!